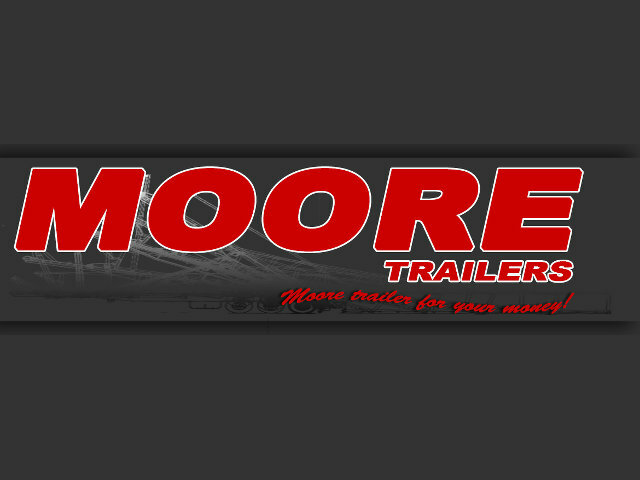 If you're looking for the best of both worlds take a look at the Moore's convertible Trailer. Now offering the widest range of axle, suspension tyre and brake configurations… and all axles are laser aligned to maximise tyre life. A double draw arm transfers loads from the high tensile, steel skid plate back to the chassis… and a bolt in, road train rated king pin is standard… as is a ring feeder. All Moore's convertibles come standard with a fixed front headboard, and a 3 way tailgate with ladders front and rear… however you can choose either 5'6 or 6' gates with removable tarps bows. Either a full cap or a half cap tarp is available… and a full length winch track with 12 winches is standard fit. The Moore Convertible is fitted with a 5 stage, low profile hoist with a body lock to minimise tub bounce and maximise hoist seal life. So if you're looking for more flexibility, more convenience, more payload… you simply can't go past the Moore Convertible Trailer. Moore Convertibles… Moore Trailer for your money.